This part serves a next step after completing the part 1 of the guide. In part 1, we discussed the different components that are needed to bootstrap a simple network. We formed one organization, created a channel, and joined that organization to that channel. In this part, we are going to write a chaincode (smart contract), install and instantiate it, and interact with it. We are going to use the repository that we developed in the previous guide. The repository contains both the network and chaincode as well as useful scripts to automate crucial tasks. Chaincode (smart contract) is a piece of code that is used to provide access to the state of the ledger in a channel. Chaincode is the only way to gain access to the ledger and the ledger cannot be accessed outside of that chaincode. Chaincode can also be used to implement access control permissions as well as complex business logic while updating or reading the data in the ledger. We are going to use Typescript and the fabric-node-chaincode-utils to write chaincode. Create a new directory at the root of the project called chaincode and set set up a new Typescript project. Create a package.json file inside the chaincode/node directory. Create yarn.lock file to ensure that you have the right versions of packages being installed. Install all the npm packages. Create a new directory inside chaincode/node directory, name it src, and create these these files inside the src directory. If you have experience writing smart contracts using Solidity in Ethereum or other public blockchain, you might notice similarities. We have a chaincode class named FirstChaincode which has two functions that are available to be executed from outside the ledger. initLedger function adds car entries into the ledger. The second function queryAllCars returns all the car objects that have been initialized. We use the chaincode utils developed by the TheLedger. You will find the chaincode Node.js SDK to be quite different if you look at the official chaincode samples developed by Hyperledger Fabric. These utilities are intended to make writing chaincode easier. We are going to start the network that we built in the previous article, create and join channels, install and instantiate the chaincode, and finally call functions on the chaincode. Go to the network directory and run the following commands. This command will start all the docker containers. A new channel mychannel is created and Org1 is joined to that channel. There are three steps to installing chaincode. Building; builds the source code to be installed on peers. Installing; installs the chaincode on peers. Instantiating; instantiates the chaincode interface to become public in the scope of the channel. Go to the chaincode/node directory. The following commands will install all the dependencies and make a new build out of source code to be installed on peers. This command will install the chaincode on the peer. docker exec -e "CORE_PEER_LOCALMSPID=Org1MSP" -e "CORE_PEER_MSPCONFIGPATH=/opt/gopath/src/github.com/hyperledger/fabric/peer/crypto/peerOrganizations/org1.example.com/users/Admin@org1.example.com/msp" cli peer chaincode install -n "firstchaincode" -v "1.0" -p "/opt/gopath/src/github.com/firstchaincode/node" -l "node"
This command will instantiate the chaincode on the peer. Now, that we have the network deployed and chaincode installed and instantiated. We will interact with the chaincode. This command will make use of the invoke command to execute initLedger function which will populate the ledger with entries. The command below will run the queryAllCars function get all the cars that have been put onto the ledger. If you see an output like this, your invoke function was successful. We created a simple chaincode which adds entries in the ledger and queries them. 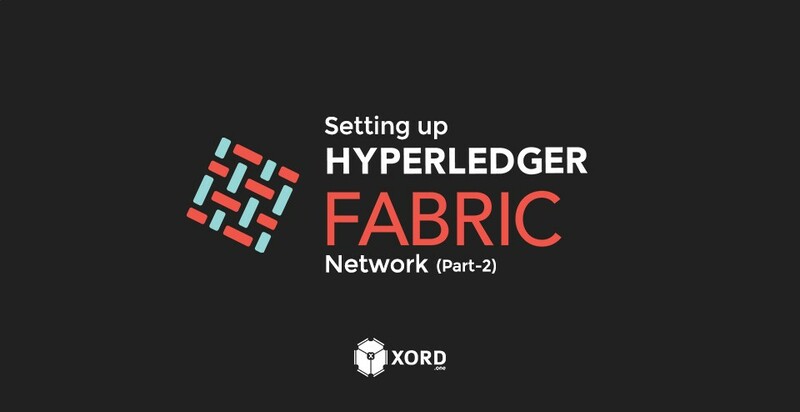 We might get into exploring the Node.js SDK that enables us to build client applications for Hyperledger Fabric network.